How can you better harness the power of the Millennials - and, in fact, every employee you lead? The toughest part of being a leader today is understanding what drives and motivates your people. In today's world, you are dealing with multiple generations whom all have different drivers and different needs! Companies with the highest employee engagement levels understand that yesterday's work environment is no longer enough to attract top talent. Contrast Consulting is hosting a 6 week Podcast series where we are interviewing leaders from around the globe to bring you insight into how to lead with this new Gen Challenge. 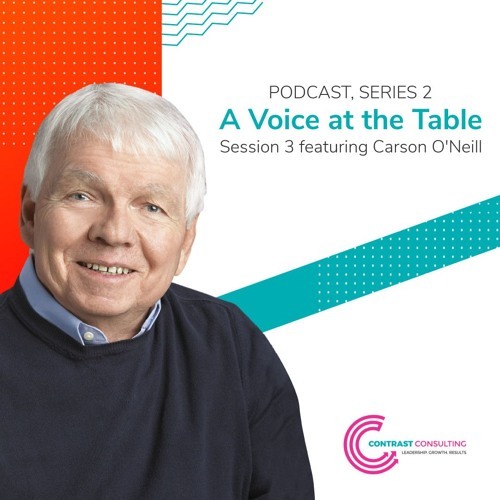 Click below to listen to Session 3 of "A Voice at the Table!" with Carson O'Neill, and leave a comment telling us what your leadership challenges are.